Register now for the 2017 Wireless Leadership Summit! Join us at the 2017 Wireless Leadership Summit, October 11-12, at the Westin Denver Downtown in Denver, Colorado. 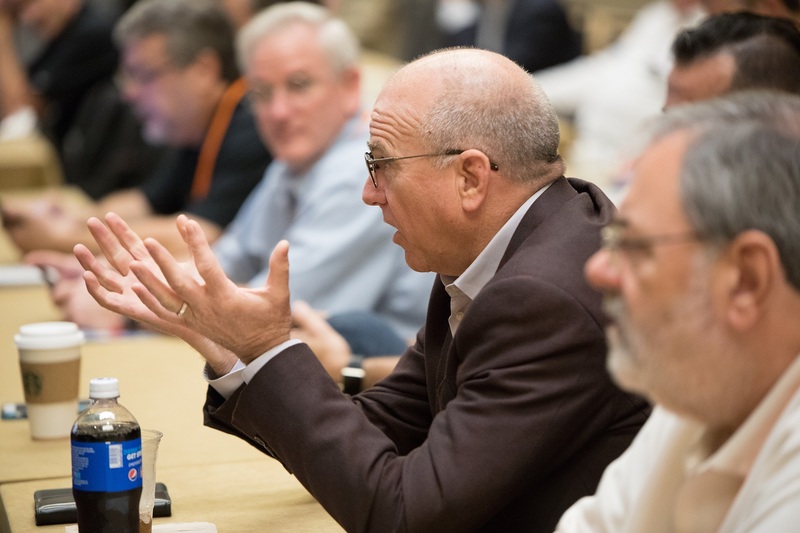 With expert-led sessions, ample networking opportunities and a bustling exhibit hall, the Wireless Leadership Summit will be an exceptional and rewarding event for all. Both exhibitors and attendees reported that the 2016 event was a highlight of their year. This year's agenda focuses on opportunities to grow your business -- through new spectrum opportunities, assessing a business's value for sale or purchase, or integrating new technologies. 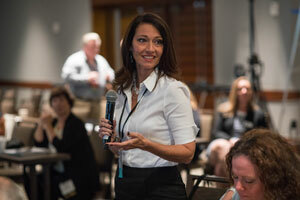 Keynote speaker Tamara Kleinberg's talk, "At the Speed of Innovation: How to Out-Maneuver the Marketplace and Outperform the Compeition at Lightning Speed", will introduce new concepts for EWA member companies to employ innovation to transform their organization. Check out her video below, along with the agenda, to learn more. Members of the Enterprise Wireless Alliance are invited to attend this meeting for a summary of EWA’s activities in the year. Members of the Technology Resource Network are invited to attend this meeting for a summary of TRN's activities in the past year and plans for the year ahead. Network with fellow attendees and exhibitors to kick off the 2017 Summit. Visit exhibitor booths to see items included in this year's silent auction benefiting the EWA-Joseph B. Vestal Endowed Scholarship. The Silent Auction is open through tomorrow's closing reception. 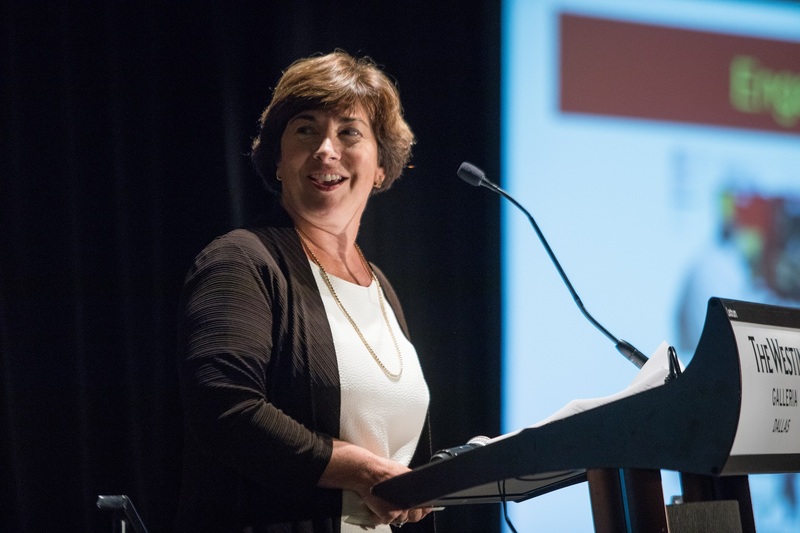 The Women of Wireless welcome Miranda Allen, CEO of Radiofrequency Safety International, to discuss an issue affecting businesses across the country. The key to four different generations working together is understanding, appreciating and using differences in attitudes, behaviors, expectations and motivations to enhance the workplace. Ms. Allen is an author and speaker; was a leader in establishing Women of NATE, a mentorship program for women in the telecommunications construction industry; and is the founder of the non-profit Project Pink. She is a serial entrepreneur and has worked for private companies and the government, including Hewlett Packard and the U.S. Army. This year's Wireless Leadership Summit officially begins with the Summit hosts presenting exclusive and up-to-date information you can put into action on regulatory, spectrum, and other market forces that will affect your business in the coming year, as well as the latest industry occurrences and endeavors. To compete in today’s ever changing, fast-paced landscape, tech organizations and their leaders must learn to create a culture where innovation is the norm and adaptability is the requirement. Learn to unlock your greatest resource, the untapped innovative minds of your team, to overcome the hidden barriers to innovation, while benefiting from the compounding value of daily innovation for explosive growth and measurable results. Tamara Kleinberg, named an “Innovation Icon” by Inc. Magazine, is a contributor to the Today Show, the New York Times, NBC News and HuffPost, numerous radio shows and podcasts including Entrepreneur on Fire. She is the founder and CEO of LaunchStreet, a business innovation catalyst company with clients including Disney, RICOH, NASA, Nike and General Mills. Tamara has launched and run multi-million-dollar tech businesses. Her latest book, Think Sideways, is a best seller. Are you up to date on the latest FCC rules regarding antenna structures and the requirements to register them with the FCC? In recent years, FCC rules regarding towers, including requirements for obtaining an Antenna Structure Registration (ASR), have become more complicated. 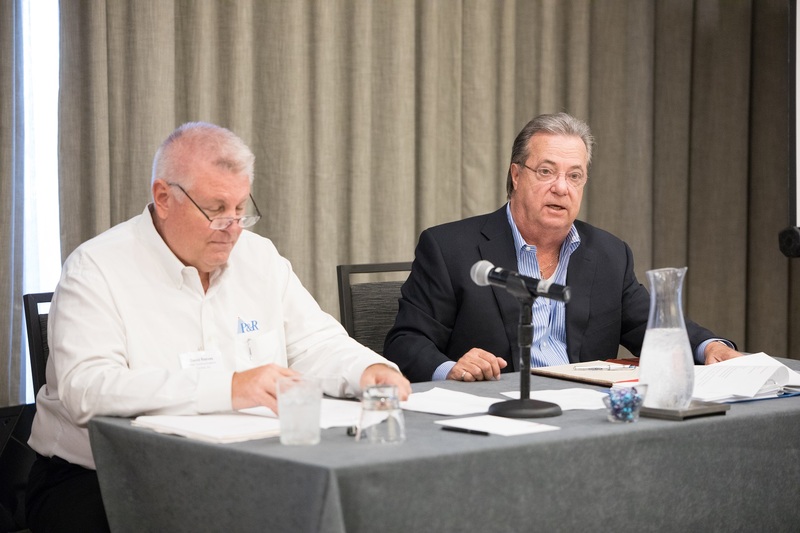 This session provides an overview of FCC, FAA and environmental compliance, any regulatory changes on the horizon, and how the changes may affect your business and customer operations. Gain a new understanding of the proposed 900 MHz realignment and how it will affect our industry and your business. This panel discussion and Q&A session will include a review of the actions taken by the FCC and different perspectives from the subject matter experts on the possible benefits and opportunities of broadband and narrowband systems co-existing. Frank Anderson, A Beep, Inc. Many business owners are considering strategic business consolidations, collaborations or acquisitions. This session will provide background on the factors that drive business valuations, including both business operations and underlying spectrum values. Are you considering incorporating Push to Talk over Cellular (PoC) into your business portfolio? Get to know the players in this space, the next-generation products, potential business opportunities, and how this tech fits into the private land mobile radio (PLMR) landscape. This discussion will help decision makers determine a course for the future, learn best use cases for PoC and LMR, and how LTE and other broadband technologies are being integrated in the current and future wireless environments. Mark Jasin, JVCKENWOOD USA Corp.
Join fellow attendees for an evening of conversation and collaboration. Browse the booths to discover and discuss the latest products and offerings from the exhibitors. Now is the time to place final bids for the EWA-Joseph B. Vestal Endowed Scholarship Silent Auction and outbid your competition! Winners must be present to claim and pay for auction item. See which companies have already registered to exhibit at this year's Wireless Leadership Summit. Wednesday, October 11, 5:30 – 7:30 p.m.
Thursday, October 12, 12:15 – 3:30 p.m.; 5:30 – 7:00 p.m.
You will receive an exhibitor kit from GRIT Productions with your log-in and password from GRIT Productions to order your booth’s electrical, Wi-Fi and furniture and arrange for freight delivery. If you have questions or have not received the kit, contact the Conference Director, Elaine Walsh, at 520-620-0063 or by email at Elaine.Walsh@enterprisewireless.org. You can also contact GRIT directly by calling Maci Moore at 817-349-6410 or by email at maci@gritprod.com. 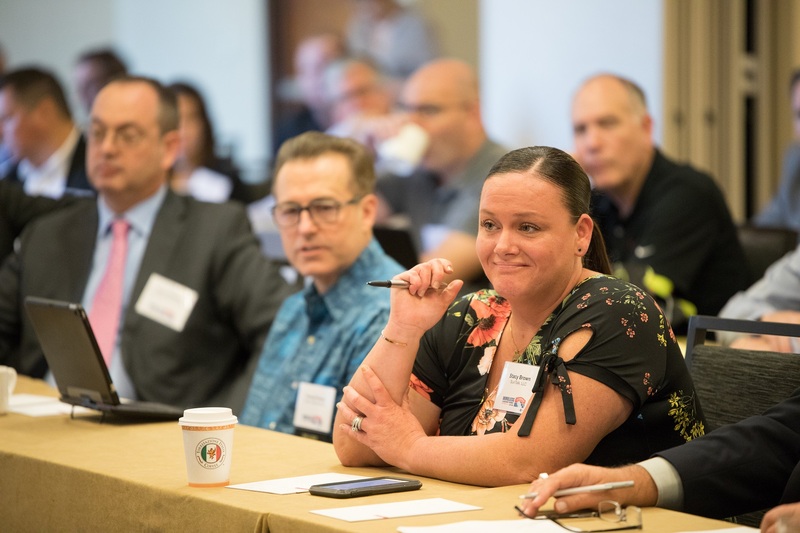 Over 200 decision makers attend the Wireless Leadership Summit annually to learn about new regulatory requirements, discover new technologies and discuss business developments. Establish a Presence—Your Competitors Will! You can't afford to miss this opportunity to showcase your company to executives from the nation's leading wireless sales and service providers and end users. Attendees will see your company as a major player in the wireless industry. Your company will be listed as an exhibitor on the Summit website and in the on-site program. Sign up early to get maximum exposure! It's the year's leading opportunity to make lasting connections. You will have unparalleled access to decision makers. With two networking events held in the exhibit hall, you have excellent opportunities to meet and engage with prospects. With full access to conference sessions, you can sharpen your knowledge of the land mobile radio industry and the spectrum environment. Plus, sitting next to your customers in the audience is yet another opportunity to network. Demonstrate your engagement with the land mobile radio industry by becoming a sponsor of the Wireless Leadership Summit, and take advantage of value-added benefits, such as pre-event, on-site and post-event recognition. Attendees surveyed say they are more likely to use companies that show support of EWA and TRN through sponsorship of the Summit. Registration has closed. Thank you to our exhibitors, sponsors, and attendees for a great 2017 Wireless Leadership Summit. Please note: The Summit room block is sold out and the Westin Denver Downtown has no rooms available at the regular rate for the week of the Summit. As an alternative, these hotels are close to the Westin Denver Downtown. Prices shown are as of September 15, as listed on the Hotels.com web site. The Westin Denver Downtown is located on the famous 16th Street Mall, approximately 30 minutes from the airport and a short distance to downtown Denver attractions (see below). University of Colorado A Line Commuter Rail will take you from the airport to Denver's Union Station in downtown. Taxi cabs are located at the airport. Uber and Lyft have drivers in the Denver area. A number of shared-ride services operate in Denver. The mile-high city offers visitors much to see and do -- no matter what interests you! Check out these "must-see attractions."